PLEASANTON, Calif. (KGO) -- CHP just announced that they are reopening all lanes of westbound 580 at Hopyard after acetone spilled from a big-rig in Pleasanton Wednesday morning. 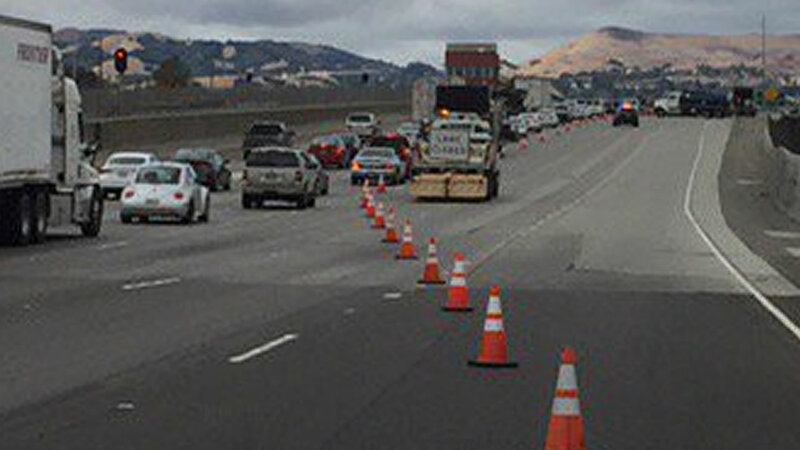 All lanes of westbound 580 were closed for several hours, according to the California Highway Patrol. Officers responded at 10:56 a.m. to a report of a big-rig on the right shoulder of westbound Highway 580 east of Hopyard Road that was leaking some sort of fluid, CHP Officer Tyler Hahn said. Authorities determined that the fluid was acetone and worked all morning to move it from the leaking truck into other containers, according to Hahn. He said the fluid did not spread to any nearby drains and is not affecting any wildlife. Click here to look at our ABC7 live traffic maps.